The Amazon affiliate program is one of the best ways to make money online. With the right kind of traffic, Amazon affiliate income is pretty consistent. Moreover, when it comes to affiliate marketing, you do not have to worry about selling on the Amazon site. If you have been looking for ways to make money on Amazon without selling, we will share below 10 different ways in which you can do so. You won’t need a website in order to market the Amazon products either. How to make money with Amazon affiliate without a website? It is surely possible to make money using the Amazon without any website. You have to use different platforms in order to do so. The marketing techniques which you will be using on these different platforms are also different. Fortunately, most of these platforms are free to use. We will highlight some of the most effective methods to market Amazon products for free below. The 1st option which you have is to market your affiliate links on Facebook. You can easily join relevant groups and market your Amazon affiliate links. You need to, however, keep in mind that you have to consistently share the relevant content and make the link contextual rather than just spamming your link across the various Facebook groups. Once you start contributing to the Facebook groups, it will become easier for you to gain conversions and ensure that you are not getting blocked out from the group. Reddit has a subReddits for each and everything. There are plenty of subReddits for Amazon deals or daily discounts as well. You can easily utilize the subReddits in order to promote your affiliate links. Moreover, the area to area subReddits are created specifically to share unusual products. You can scout for the unusual products on Amazon and share your affiliate links in that subReddit. There are a lot of ways in which you can market on Reddit. You have to just pick the right subReddits and choose the right area. Once you are able to do that, it will become easier for you to market your Amazon affiliate links on Reddit. Most of the popular blogs have thousands of readers. Most of these readers check the comments section as well. That is why, when you’re looking to promote Amazon affiliate links, you can utilize this comment section. You have to make sure that you are posting the 1st comment by promoting the products or linking back to the products with the help of Amazon affiliate links. When you are able to do that, it will become easier for you to get clicks on that link as well. This will again enable you to drive traffic to your Amazon affiliate links. As a result, you will be able to get Amazon affiliate income sooner than later. Forums are one of the best places to get a dedicated audience. If you want to promote health products, you can start posting on health forums along with your signature. Similarly, if you want to promote packaged foods, you can post on cooking forums. Just find out the most relevant forums and you will be good to go. However, keep in mind that the Amazon affiliate links should be added to the signature. You have to abide by the rules and regulations of the forum in order to ensure that you do not get banned. As long as you are able to initiate an engaging position, you will be able to get click-throughs to your Amazon affiliate links. Guest posting is one of the best ways to direct visitors to your Amazon affiliate links. You can either include the links in the author bio or if they are relevant enough, you can include them contextually in the guest post as well. Most of the guest posts are done on blogs with a significant amount of traffic as well as authority. That is why; it will become easier for you to direct the visitors to your Amazon affiliate links. You just need to write a good quality article which is relevant to the product and to the website on which you are publishing the guest post. Once you are able to shortlist the blog based on these few characteristics, it will become easier for you to pick the right one. Additionally, you have to also find out whether they are open to receiving guest posts or not. At the same point in time, you have to amalgamate your affiliate links into the blog post in such a way that they do not stand out like a sore thumb. When you are able to contextually add them, that is only when you will be able to get a decent click-through rate as well. You have to always ensure that you are abiding by the guest posting guidelines as well. This will not only help you get the guest posting opportunity but also you can create a collaboration for the future as well which will help you gain a long-term source of traffic rather than a temporary guest posting opportunity. YouTube channels are becoming more and more popular. You can easily advertise your affiliate links in the description. You can either opt for subtle ads in the video or you can directly review the product in the video. In both of these cases, you will be able to get a good click-through rate on your Amazon affiliate link. 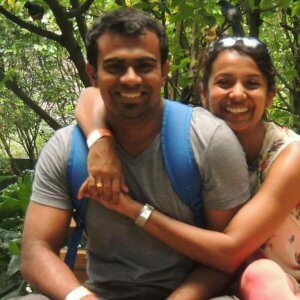 All of these steps will help you in increasing the engagement ratio. Once you increase the engagement ratio, the click-through rate to your Amazon affiliate links will also go up. This, in turn, will increase your Amazon earnings. These websites allow you to target the audience according to niche and country. As a result, you will be able to direct relevant traffic to your Amazon affiliate links. The more targeted your audience, the higher will be the conversion rate. You have to precisely target your audience as far as possible. Medium.comis one of the most popular websites on the Internet which allows anyone to post content. The main advantage of this website is that if the article is really good enough, it will be featured on the homepage for people who have an interest in the topic. Moreover, the domain is authoritative as well. That is why; there are chances that over a period of time, your article will rank on the search engines for relevant keywords. When that happens, your page will receive a significant amount of traffic. You can direct the traffic to your Amazon affiliate links with the help of a proper call to action. his will help you in getting instant traffic to your Amazon affiliate links. Moreover, as long as you are able to choose influencers with a high amount of engagement, you will be able to make a good return on investment on your spend. You have to bargain with the influencers in order to get a good deal. When you’re searching for influencers on social media, it is a good idea to find the influencers across various platforms. This will ensure that you are able to diversify your traffic sources. This will mean that in the longer term, you will be able to tap into the following audience of these influencers in order to get traffic. You have to search for the relevant niche content on these platforms. Once you do that, it will become comparatively easier for you to find out the authority figures on these platforms. You can easily approach them on the social media platform themselves in order to strike a deal. At the start, it is a good idea to pay them to market only a part of their followers or to opt for subtle marketing. Only when you are able to get proper results, you can ramp up your marketing efforts and budget. Email marketing is one of the most lucrative forms of marketing. It can help you in generating a significant ROI. However, keep in mind that if you want to know how to earn through Amazon affiliate links, it is important to know how to buy the email list. You have to vet your sources as well and ask for samples in order to get the email list from only the best providers. Start directly market them the affiliate links through emails. This will help you in getting conversions without having to ever build a website. You should split test your email list in order to get the best results. This will also help you understand which email copy is performing better. 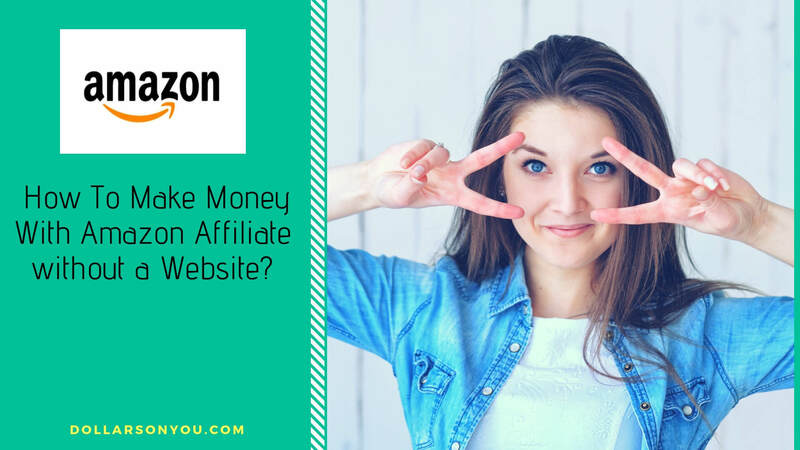 So, if you want to try out affiliate marketing without website and blog, these are the 10 methods with the help of which, you will be able to market Amazon affiliate links. You can easily pick the method which is most convenient and easiest for you. If you do it right, you will be able to generate a good amount of ROI without ever having to invest in a website.